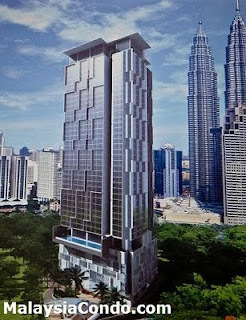 Binjai 8 is located along Jalan Binjai, a freehold property project within the vicinity of KLCC. Strategically located, Binjai 8 is just within walking distance to Ampang LRT Station, KLCC Park, world class shopping malls, hotels and restaurants and a host of other cosmopolitan exclusivity and convenience. Binjai 8, comprises a 40-storey tower building with a total of 310 serviced suites. The suites are uniquely designed with a practical choice of 1 to 4 rooms suites or from a minimum size of 753 sq.ft. onwards. Facilities at Binjai 8 include a sky lounge, gymnasium, swimming pool, changing rooms, water features, meeting rooms, business centre, visitors' lounge, function hall, broadband ready, 8 high speed lifts. 3-Tier security with 24-hr guardhouse, CCTVs & access card. Built-up Area : 753 – 1,785 sq.ft.